For Jacob Won, founding partner of Seoul-headquartered investment banking advisory firm Locus Capital Partners, it is not a coincidence that Korean investors, particularly those in the financial sector, are looking to invest elsewhere rather than in their home country. The Korean financial institutions’ interest in Vietnamese financial firms is “exactly echoing Korean companies in other sectors”, he said. “Korea is more or less a maturing economy with relatively low GDP growth rate of 2-3 per cent. Korean companies including financial institutions are looking for growth opportunity and Vietnam is their favorite country, together with Indonesia, as these two economies have a great potential to grow further with relatively good infrastructure and stability,” Won explained. According to Won, Vietnam’s financial market is being targeted by Korean financial institutions, as they are following other Korean industrial investors who entered the country earlier, to cater to their financial needs. “I think Korean financial institutions are showing more interest in domestic growth than in potential business from Korean companies in Vietnam,” Won said. Unions between Korean financial institutions and Vietnamese securities or asset management firms are on trend, with visible upsides for both parties. One side is bringing significant financial resources and expertise, while the other carries a market with great potential and growth opportunities to the match. Trang Nguyen and Nam Phuong report. An M&A breeze from East Asia KB Securities, a subsidiary of South Korea’s KB Financial Group, recently sealed a deal to take over 99.4 per cent of holdings in Vietnam’s Maritime Securities, a subsidiary of Hanoi-based Maritime Bank. In September, Maritime Securities (MSI) opened its foreign ownership limit to 100 per cent. An extraordinary general shareholders’ meeting was held October 9 to announce the accession of three new members to the board of directors, and the appointment of a new board of supervisors. As per the terms of the confidentiality agreement, the value of the deal was not confirmed by MSI. 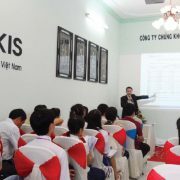 According to MSI CEO Mac Quang Huy, the acquisition has a significant impact on MSI as it is now effectively a foreign securities company in Vietnam; MSI will now have access to the financial and technological resources as well as global client base of KB Securities and KB Financial Group. “Together with the KB brand, we will be able to grow our business in Vietnam more quickly through more competitive products and better services,” Huy said. Cho Nam Hoon, head of the Global Business Department at KB Securities and a newly-elected member of the board of directors at MSI, said, “In our vision of a global investment bank, after careful consideration, we have decided to choose MSI to acquire, thereby officially entering the high-potential financial market of Vietnam. “With our abundant experience as well as strong financial support, we aim to build and develop a strong securities company in Vietnam, providing the best products for our clients and connecting Korean investors to Vietnam’s financial market,” he added. Meanwhile, Koreanbacked Lotte Card Co., Ltd. is thought to be en route to acquiring 100 per cent of Techcombank Finance (TCF), a unit of Hanoi-based top-tier private lender Techcombank. The credit card arm of Lotte Group, licensed by American Express and Lotte Department Store in 2002, is supposedly spending tens of billions of Korean won on the deal, in anticipation of becoming the very first Korean firm to gain a credit card license in Vietnam. In a notice made two weeks ago, Techcombank also announced its board of directors’ approval on the stake sale of TCF. In 2015, TCF was formed through a complete buyout of stateowned Vietnam Chemical Finance JSC by Techcombank, with a chartered capital of VND600 billion ($27.64 million). Samsung Securities is said to be buying out 10 per cent of Vietnam’s Dragon Capital, in a joint effort with Hong Kong-based private equity fund Caldera Pacific to become one of the largest shareholders of the asset management firm – holding an aggregate 40 per cent stake. While Dragon Capital, which has $2.32 billion in listed equity, denied the veracity of the report and Samsung Securities could not be reached for comment, rumour has it that the Korean firm could be paying a considerable sum for the acquisition. Apart from the aforementioned deals, several other Korean financial institutions have set up offices or co-operation agreements with local firms in the past decade. Korean firms which have long been present in Vietnam include Shinhan Financial Group, through its subsidiary Shinhan Investment Cooperaion which oversees Shinhan Securities Vietnam; Korea Investment Holdings, with its local securities wing Korea Investment and Securities Vietnam; and Mirae Asset Financial Group, in the form of Mirae Asset Securities Vietnam. NH Investment and Securities also has an office in Vietnam, and holds 49 per cent of Vietnam’s Woori CBV Securities (previously known as Bien Viet Securities). And this is without mentioning locally-incorporated banks, such as Shinhan Bank or Woori Bank, or insurance firms established in the country since the early 1990s. According to Hong Sun, vice chairman of the Korea Chamber of Business in Vietnam (KorCham), Korean investment in the local financial sector is a recent phenomenon. For a long time, Korean conglomerates focused their investments on the local sectors of retail, food, and consumer goods. “Korean financial investment in Vietnam has drawn attention since Samsung Securities was reportedly buying stakes in Dragon Capital,” Sun said. Sun noted that while Vietnam is regarded as an emerging market with good potential for further growth, investing in the financial sector here is not as easy as it may sound. “We all know that the investments in the financial market can come with high return, but also high risk. It could take a great deal of time for investors to thoroughly plan and decide to invest in the local financial market,” Sun told VIR. As a result, although there are numerous investors who want to come and explore the investment opportunities in the financial market, many of them still have not come up with a feasible plan for such purpose, he said. “Many Korean firms have been eyeing the local financial market, yet they, and other foreign investors, have been equally facing issues of transparency and unreliable financial reports of Vietnamese firms,” Sun added. For Jacob Won, founding partner of Seoul-headquartered investment banking advisory firm Locus Capital Partners, it is not a coincidence that Korean investors, particularly those in the financial sector, are looking to invest elsewhere rather than in their home country. The Korean financial institutions’ interest in Vietnamese financial firms is “exactly echoing Korean companies in other sectors”, he said. “Korea is more or less a maturing economy with relatively low GDP growth rate of 2-3 per cent. Korean companies including financial institutions are looking for growth opportunity and Vietnam is their favourite country, together with Indonesia, as these two economies have a great potential to grow further with relatively good infrastructure and stability,” Won explained. According to Won, Vietnam’s financial market is being targeted by Korean financial institutions, as they are following other Korean industrial investors who entered the country earlier, to cater to their financial needs. “I think Korean financial institutions are showing more interest in domestic growth than in potential business from Korean companies in Vietnam,” Won said. “In addition, overall interest could potentially be positively increased thanks to the success stories of Korean companies that have presences already, particularly Samsung Electronics. Because of these success stories, I think Korean companies feel more comfortable with investing into Vietnam compared to other emerging markets. 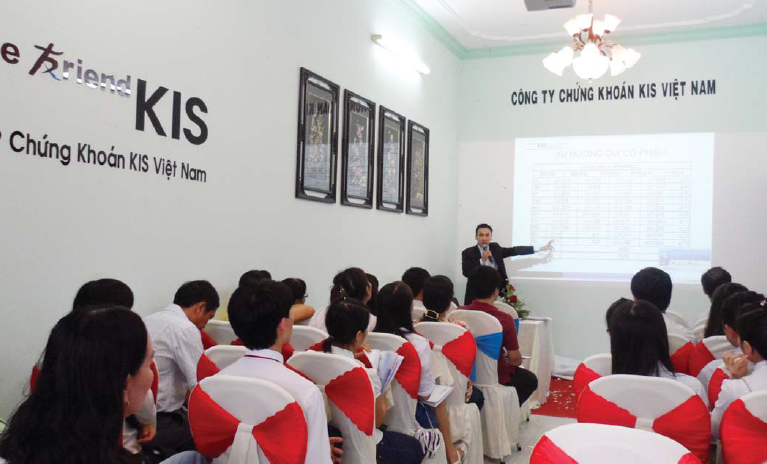 Echoing Won’s view, senior economist Nguyen Tri Hieu said that Korean financial institutions are marching into Vietnam as they see potential in the local financial market, whereas their home country has reached its growth peak. “Through the merger and acquisition between Shinhan Bank Vietnam and ANZ’s retail arm, we see that Korean financial institutions are not only tackling the corporate clients, but also the retail banking business – with huge potential arising from Vietnam’s upper middle-income group and transactions from the export and import companies,” he said. “They choose M&A as a way to speed up their penetration into the local market, without having to work from scratch in setting up an office or a corporation here,” he added. “Co-operating with a local corporation can help them save time, while taking advantage of the already-established network, human resources, and local knowledge.